Architects uses a professional designing tools like Revit, ArchiCAD, SketchUP or similar software to improve their design results and process, these tools are oriented to give all kind of outputs needed to complete the design for construction purposes by providing CADs and blueprints that can be useful for engineers and technicians. However they become limited in giving outputs that can be used to communicate with the clients (non-engineers) and can be easy for them to understand, such the output from these tools is always rugged and hard to be imagined by all types of clients. What an architect should do to reach more clients? Of-course It’s important for architects to have a good designs, But what’s more important is how they present them and communicate with their clients. The client may interview a number of architects to choose the best one having the combination of skills and experience needed. So the architect should find the best way to communicate his ideas to the client in a solid, attractive and professional ways. SimLab Composer is built to make you communicate your designs with ease. Why SimLab Composer is a good choice? SimLab Composer is our tool that takes this further and offering the most technologies available for 3D communication that an architect needs such as realistic rendering, interactive VR, AR, 360 images, 3D PDF documents exporting, WebGL, assembly solutions and much more. SimLab Composer can integrate with most used programs and give improved, unique and useful outputs without changing or adding any complexity to the design process. SimLab linking with other 3D CAD software feature such as SketchUp integration is a convenient method for direct 3D export and editing without going back and forth or exporting and importing each time. Also architects can open their models with simlab composer no matter what CAD software they use. learn more about the supported file formats here. Instead of such providing blueprints of fixed views, An interactive views could be embedded in PDF documents or on websites without the need from the user for any special programs or skills to open it. With this feature the architect can document his designs in PDF files that contains 3D models with their actions, materials, animations, sequences, light baking, texture baking, sections and much more. The 3D PDF can be shared to clients for review and navigation through different design stages. It’s also useful to present simple architectural viewports with different styles. Try this PDF file yourself and download it from here(please open it in acrobat reader). After design completion a realistic renders are needed in order to review how the building will look like after the construction, SimLab can render a very realistic stills in a very simple and fast way. By just applying materials with no need to adjust anything. The extended free materials libraries is designed by SimLab’s skilled artists to give a realistic look while rendering. Although light presets and HDR libraries are so handy for improving the scene reality by just one click. A better presentation could be achieved using 360 rendered images. 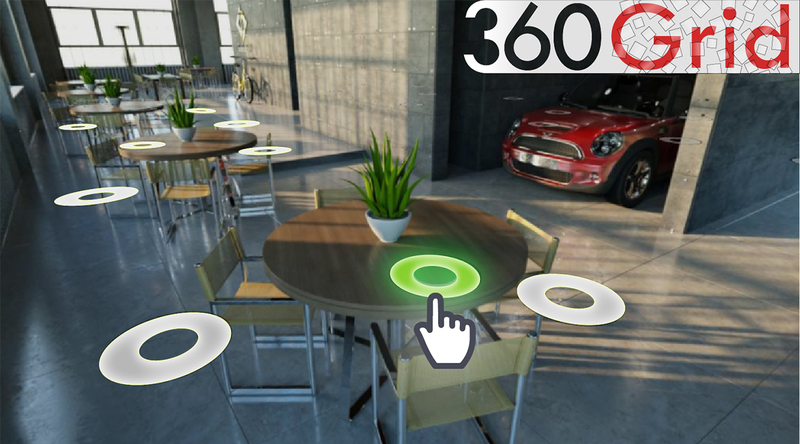 A 360 image can be viewed as the person standing and looking around in any direction could be very useful for feeling the space and the visibility along with the usability of the design. Learn more. 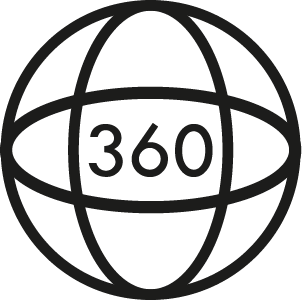 Moreover SimLab offers new technology providing multiple 360 images in one scene which allows viewing the model from different points, its called 360 Grid, Learn more. Creating VR experiences for architectural models allows clients & designers to have a sense of the designed space prior to construction. They can be created easily in Simlab Composer and viewed though Simlab VR viewer free application available on computers and smartphones. SimLab’s VR experiences is very interactive experiences, it can contains all the features of the SimLab Composer such as animations, scene states, disassembly, grabbable objects, actions and sequences. More VR experiences. 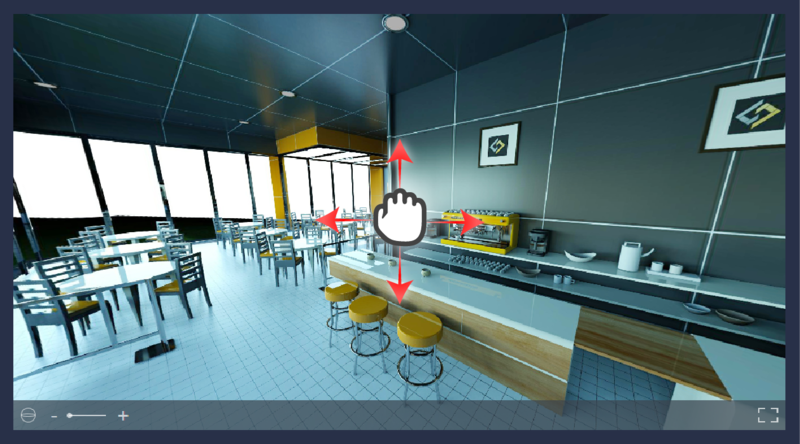 SimLab Composer VR edition is great choice for architects such it includes all the needed features to complete an architectural project visualization. you can have a free trial with all features for a short period of time to evaluate the Comoposer outcomes from here.